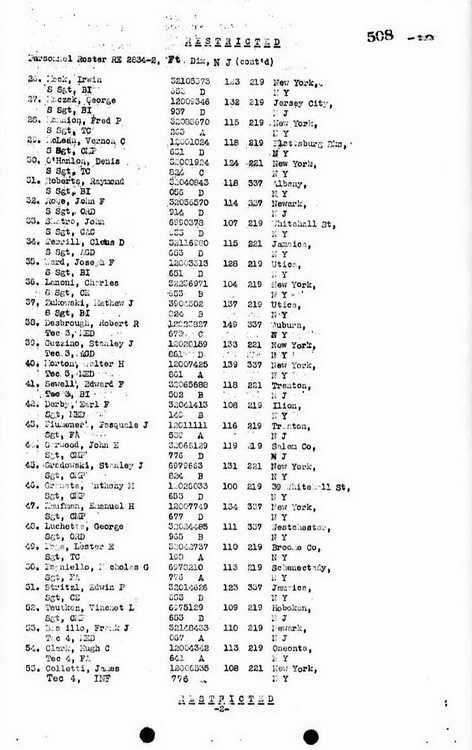 T4 James Colletti sailed from La Havre on 19 June 1945 aboard the USS Monticello (AP-61) arriving in New York City, NY on 26 June 1945. 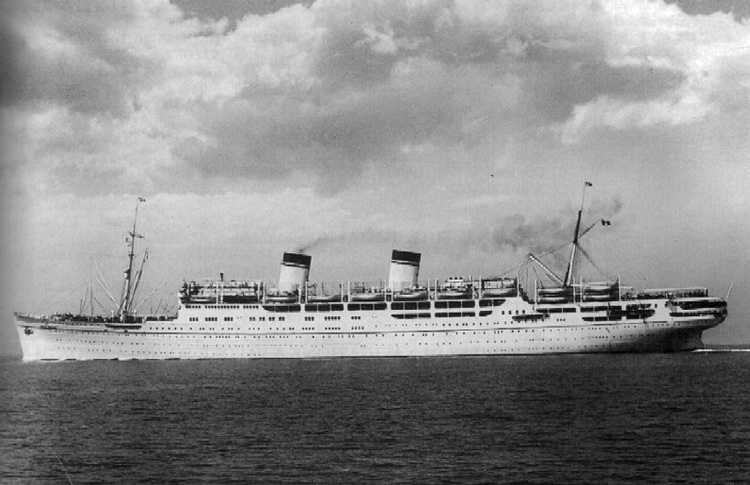 Originally operated as an Italian liner named the SS Conte Grande she was acquired by the United States and was used as an American troopship Grave Marker for James A. Colletti in Section N, Site 6468 of the Brig. Gen. Wm. C. Doyle Veterans Memorial Cemetery, Wrightstown (Burlington county), New Jersey. 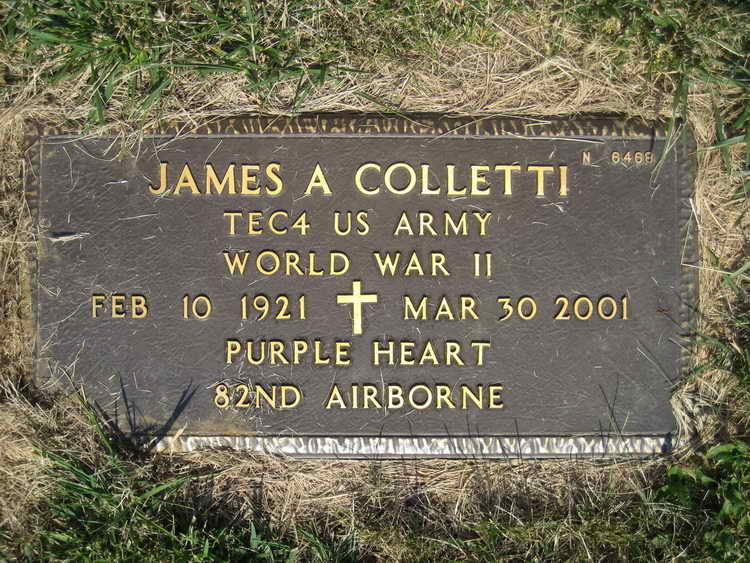 James was initially interred Old Tennent Churchyard, Tennent (Monmouth county), NJ on 2 April 2001, three days after his death. However, on 16 July 2004, he was re-interred in the Brig. Gen. Wm. C. Doyle Veterans Memorial Cemetery. The reason for the relocation is unknown.